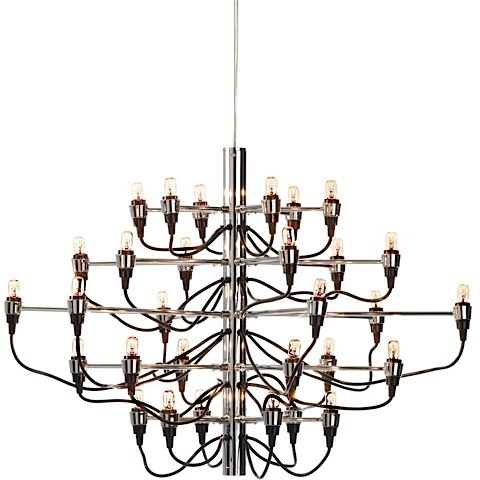 This ultra modern ceiling fixture features a modern industrial design with a chrome finish and attachable arms and adjustable cables. The smaller version takes thirty (30) T 15 watt bulbs and the larger version takes fifty (50) T 15 watt bulbs. 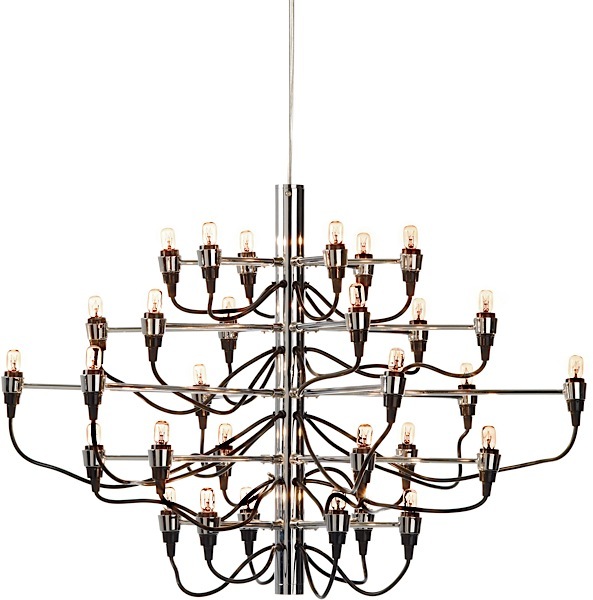 The bulbs are supplied with the lamp but extra bulbs can be purchased (see related items).